Professor John Gardner. Professor of education and Deputy Principal (Education and Students) at the University of Stirling. Professor Gardner is an expert in all sectors of education, particularly in relation to assessment and information technology. 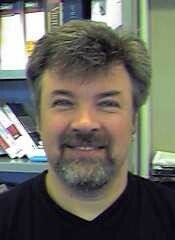 He is the co-author of the book “E-Learning: Concepts and Practice”. He is currently a member of the steering committee of the ESRC’s Technology Enhanced Learning (TEL) programme and a member of the ESRC’s Peer Review College. In 2011 Professor Gardner completed a two-year term of office as President of the British Educational Research Association (BERA). Emeritus Professor Oleg Liber. Emeritus Professor of e-Learning. Oleg was the co-founder and director of CETIS in the UK. He has been involved in pioneering work in learning technologies for over twenty five years, managing many projects researching and developing innovative technical systems, including distributed learning networks, multimedia databases, learning management systems, peer-to-peer collaborative learning environments (e.g. Colloquia) and tools for implementing eLearning standards (e.g. RELOAD). Professor Zhiting Zhu. Professor of educational technology and Vice Dean of Online Education College, East China Normal University. He is now also the Director of the Chinese e-Learning Technology Standardization Committee (CELTSC), a consultant for the National Project of Educational Resources, and a member of the Steering Committee for Teacher Education Informatization. 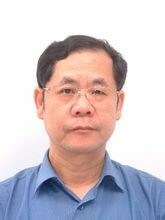 He has played a significant role in e-Learning Technology Standards, Development of Web-Based Teacher Training Courses, Personalized e-Learning System, Theories and Practical Models of Educational Informatization, and Curriculum Paradigms in the Information Age in China. Tony Bates is President and CEO of Tony Bates Associates Ltd, a private company specializing in consultancy and training in the planning and management of e-learning and distance education. He is also Distinguished Visiting Professor in the G. Raymond Chang School of Continuing Education, Ryerson University, Toronto and Executive Director, Research, Strategic Planning, and Information Technology at the Open Learning Agency of British Columbia.Prior to that, he was Professor of Educational Media Research at the British Open University, where he worked for 20 years as one of the founding members of staff.He is the author of twelve books, including his latest, a free, open online textbook for faculty and instructors, called Teaching in a Digital Age, It has been or is being translated into seven languages.He has been on the editorial board of six journals specializing in distance education and educational technology.